This powerful limescale remover leaves your bath sparkling clean. It helps you easily remove stubborn limescale, dirt, and soap residue. 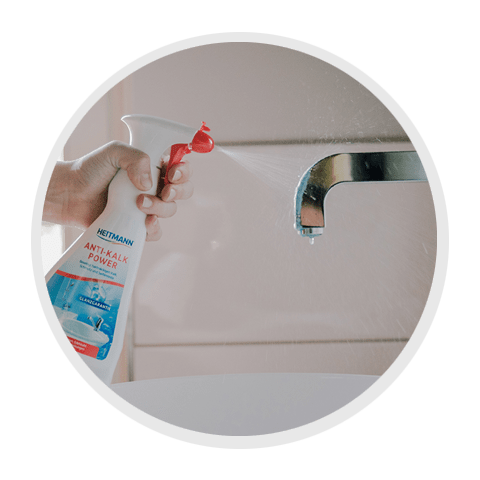 This powerful cleaner removes stubborn limescale, dirt, and soap residue and leaves surfaces sparkling clean. The upside-down spray function even lets you clean hard-to-reach places. HEITMANN Anti-Limescale Power is perfect for materials such as chrome, stainless steel, shower screens, fittings, tiles, toilets, and sinks as well as plastic baths and showers. The cleaner uses the natural power of citric acid to dissolve the limescale. 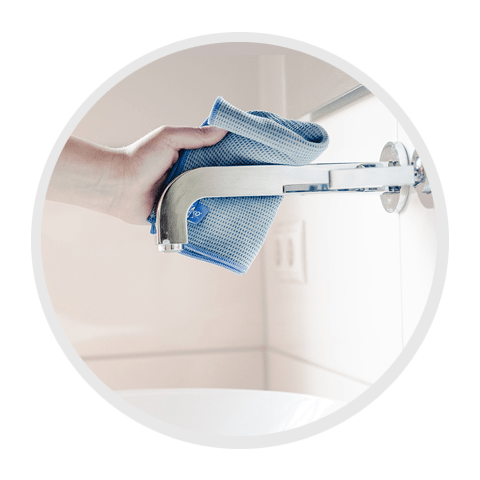 Powerful action: easily wipe away limescale rings and soap smears. The Anti-Limescale Power limescale remover gets the whole bathroom clean and streak-free. HEITMANN Anti-Limescale Power removes limescale, dirt, and soap residue. Get into every corner with the handy upside-down spray bottle. Spray HEITMANN Anti-Limescale Power onto the surface. Leave to work for a few minutes (up to 10 min. for stubborn limescale deposits). Not suitable for surfaces that react to acid, such as marble, enamel, and aluminium. Attention Causes serious eye irritation. If medical advice is needed, have product container or label at hand. Keep out of reach of children. Wear protective gloves/protective clothing/eye protection/face protection. Wash … thoroughly after handling. IF IN EYES: Rinse cautiously with water for several minutes. Remove contact lenses, if present and easy to do. Continue rinsing. If eye irritation persists: Get medical advice/attention.